I wake up every morning to the sound of tropical birds, and go to sleep listening to our neighbors play soft bachata and merengue somewhere down the street. Right now, the Caribbean sun is beating down on me, and I can sit and watch in the shade on our wrap-around porch as the town slowly stirs to life. Yes, living on a tropical island has its perks. However, Bocas del Toro isn’t your typical Caribbean island. 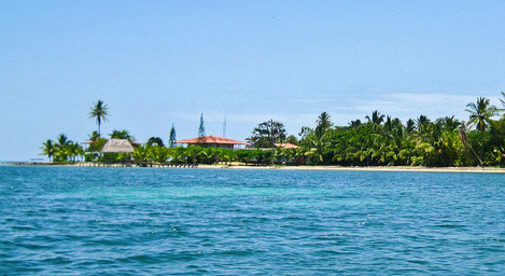 In fact, Bocas del Toro is comprised of several islands that form an archipelago off the coast of Panama. The most developed island is Isla Colon, where I now call home. The town in the southeast corner of the island is populated by many different cultures, creating an eclectic feel throughout. Mainly, you will find Panamanians here. But different cultural groups such as the indigenous Ngäbere people and the Creole population give this island a unique culture that is truly one-of-a-kind. Soft-spoken and kind, the Ngäbere people speak Ngobe and are very God-fearing. The Creole culture are mainly descendants of Jamaican immigrants, and liven up the town with reggae music and cultural events. Another culture that has come to Bocas in recent years is a large expat community. And with these wanderers has come more development on the island, with many hotels, and restaurants run by Americans who came in search of a more relaxed pace of life. While still maintaining its Caribbean charm, Bocas del Toro offers expats everything they need to feel right at home. This includes typical American foods in the grocery stores, an active nightlife, modern apartments for rent, and lots of restaurants with very good food. A couple might spend between $400 and $800 per month on rent, and can easily go out for a nice dinner for less than $40 in total. One of my favorite spots for a night on the town is the Bookstore Bar, run by expat Dave and full of comfort foods with a Bocas twist. I feel right at home with ping pong, an old Nintendo gaming system and giant Jenga, and then I can take my drink to the deck and watch the crystalline Caribbean Sea spread out in front of me. Another great spot for foodies is the German bakery. In my opinion this is the best place for coffee on the island, as well as some delicious German pastries. I often set up with my laptop to spend a morning working in the air conditioning and free WiFi. As a freelance writer, all I need is an internet connection in order to earn a living. With reliable internet available throughout the town, and plenty of inspiration all around me, Bocas is a great place for anyone who can take their job overseas. I work just 12 hours a week writing web content and blog articles for companies around the web. In just two days of work, I have enough to support myself here in Bocas del Toro. That means I have five full days to do whatever I want each week. I spend most of this time doing volunteer work, but one can easily spend days in Isla Colon’s Starfish Beach and Bluff Beach, or travel by boat to uninhabited islands such as Cayo Zapatilla for an uninterrupted day of beautiful beachside relaxation. For expats looking for a more relaxed pace of life and a variety of Caribbean cultures, Bocas del Toro is the perfect spot.